Good evening everyone. I'm so thankful that I got so many entries this week. I guess a lot of my readers really love to strike a pose with celebrities whenever thay have the chance. Not only just to get a souvenir but also to prove that they appreciate what these Celebrities have done on their careers. But just like what I've mention last week, these entries deserved to get the spot light so I'm featuring all of them below. Stairway to Heaven. Heaven indeed for Carl Valenzona for having this unique opportunity with Rhianne Ramos in the "Tatakbo ka ba?" GMA network event. I like the shot. They look like a couple here hehehe. Run Forrest Run. 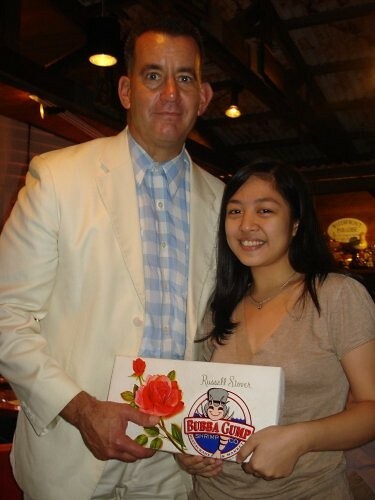 But Forrest did the opposite when Dianne Peña ask for a photo op. Life is indeed like a box of chocolate, you'll never know what you will get. Will Dianne win this promo. Let's see. 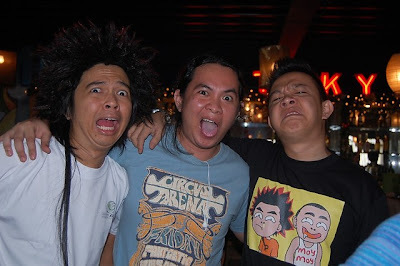 The Rakista and the Palaboys. Taken during the Dayo Press conference, Montsch Acosta is definitely having a good time with the rising comedian stars of Bubble Gang. Ne-Yo Ed. "He's the very first artist I have ever covered as a music blogger--from his radio tour up to his concert. Though the security was very tight, I was able to stole less than a minute to have this shot with him taken. ", according to Ed Arevalo. 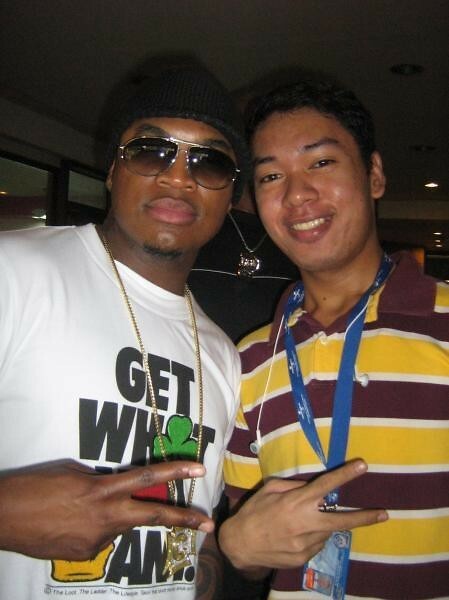 Meeting Ne-Yo is something he really won't forget. All of the entries above have the winning qualities but I really need to choose one. After a whole day of deliberation, I made up my mind. The winner for last week's DiscOVIries promo- Starstruck is none other than the entry below. Markang Mukhang Bungo is Back. Yes that old man on the center is none other than Palito. The classic skinny comedian of Philippine Showbiz. He could be already on a very long hiatus, people still know that he is still part of our pop culture. "Ang larawang ito ay kuha noong Setyembre 14, 2007 sa Star City. Kasama ko ang aking mga kaklase sa kolehiyo para sa aming field trip. Gumagala kami nang bigla namin naispatan ang dating sikat na komedyante na si Palito habang namimili ng Tsinelas. Agad-agad akong lumapit sa kanya para magpakuha ng litrato. Noong una'y nahihiya ang mga kaklase ko, pero sumugod pa rin ako. Aba, bihira na ata ang pagkakataon na makakita ka ng isang beteranong komedyante, 'diba? Buti na lang at ipinaunlakan ni Ginoong Palito ang aming simpleng request. Pagkaraan ng dalawang linggo ay napanood namin siya sa Wish Ko Lang. ", according to Mica Rodriguez. This is why I choose this entry. I'm just happy to see that we still appreciate people from the past. Congratulations Mica for winning. Please send me your complete contact details on my email: joribenzaballa@gmail.com. Thank you very much for everyone who submitted an entry. All of you are still eligible this week and you can still send the same photo as long as they meet the theme for the week.